Independently owned, IPFX is the brainchild of CEO and owner Kevin Plumpton, a former IT Manager. When tasked with replacing the incumbent telephone system for his then-employer, Kevin noticed a large gap in the market in terms of functionality and quality of systems available. For the next year, development took place on a computer-based voicemail solution that would intelligently empower workers, allowing them to have real-time visibility of their colleagues by creating and pioneering the concept of ‘Presence’. This unique feature has now become an internationally accepted standard in Unified Communications. 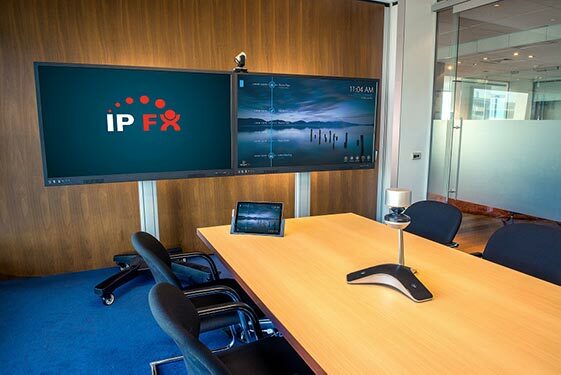 With the addition of CTI (Computer-Telephony Integration) and Contact Centre functionality, the quality and innovation of the IPFX solutions quickly drew the attention of international communications providers, leading to world-wide partnerships with NEC, Cisco and Microsoft. With several decades’ combined experience, the IPFX development team works to continually refine and enhance the existing product suite, and ensure that upcoming technological advances are also leveraged to extend world-class solutions to a growing customer base. These partnerships have allowed deployment of sophisticated CTI solutions to major service providers around the world, including international banks, insurance companies, government departments, entertainment companies and more. Working with an extensive and well-regarded re eller network around the world, IPFX delivers telephony, Unified Communications and Unified Contact Centre solutions to businesses of international standing. These solutions are ‘end-to-end’, from system design, implementation, training and support. The IPFX support team currently provides technical expertise to hundreds of thousands of end users around the globe. IPFX will soon be setting another international standard with the launch of a new solution; IPFX Unified Productivity. This will deliver substantial increases in efficiency from the most common activity, to multi-user projects. It will put users in control of their time, and allow them to get where they want to be, faster. Discover your organisation’s next dimension in productivity through IPFX.